Judge Paez leads a (divided) en banc panel to an excellent new decision on the categorical/modified categorical analysis -- in this case, in the context of aggravated felonies for illegal reentry cases. United States v. Vidal, __ F.3d __, 2007 WL 2937015 (9th Cir. Oct. 10, 2007), decision available here. Players: Great win by San Diego AFPD Vince Brunkow (with some mooting help by the members of the ND Cal FPD). Facts: In 1994, Vidal plead in a California state court to “unlawful driving or taking of a vehicle,” a violation of Cal Veh. Code § 10851(a). 2007 WL 2937015, *1. This was a “West” plea, no facts about the crime were admitted, and there was no transcript. Id. In ‘03, Vidal was charged with and plead to federal illegal reentry charges. Id. At sentencing, the district court imposed an eight-level specific offense adjustment because Vidal had an “aggravated felony” – an aggravated “theft offense” (the ‘94 § 10851 conviction). Issue(s): “[W]e consider whether a prior conviction for a violation of section 10851(a) qualifies as an aggravated felony within the meaning of USSG § 2L1.2(b)(1)(C) and 8 USC § 1101(a)(43)(G), which includes within the group of aggravated felony offenses ‘a theft offense (including receipt of stolen property) or burglary offense for which the term of imprisonment [is] at least one year.” Id. (footnote omitted). Held: [Re: the categorical analysis]: “In sum, because section 10851(a) extends to accessories after the fact and because the generic theft offense only reaches principals and other similar offenders, we cannot conclude that the ‘full range of conduct’ covered by this California statute would sustain a generic theft conviction.” Id. at *10. [Re: the modified categorical analysis:] “Because he did not plead guilty ‘as charged,’ and because we lack a memorialization of the terms of his plea bargain or even a judgment of conviction, the paltry record before the district court does not eliminate the possibility that Vidal was convicted as an accessory after the fact to theft, which we have concluded does not fall within the generic theft offense.” Id. at *12. Of Note: Judge Paez spends a fair chunk of the decision staving off the dissent, by discussing the very specific – and unique – aspects of this state statute. This opinion is important beyond its narrow confines, however, because it is another benchmark in the analysis that focuses on the “practical effects and operations of statutes in the ordinary case under the categorical approach and [that] refrain[s] from speculating about the possible reach of the statute.” Callahan, J., dissenting, id. at *13. As we’ve noted before,“categorical / modified categorical” law is jurisprudential goo – and Vidal doesn’t make the prosecutor’s job any easier. Note that Judge Paez does not cite a single published decision reporting an “accessory-after-the-fact” prosecution under this California statute. By extension, it should not be necessary for the defense to actually cite a published decision with a problematic theory of prosecution, to prevail under the categorical analysis for future challenges to statutes. How to Use: As noted above, Vidal is important because it illustrates that the defense needn’t point to an actual prosecution to prevail under a “categorical analysis” challenge. 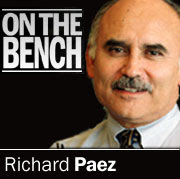 Vidal is also an important case because Judge Paez carefully surveys the permissible – and impermissible – evidence that can be used in the modified categorical analysis. Id. at *10. A charging document, written plea agreement, transcript of a plea colloquy, and any explicit fact-finding by the judge to which the defendant agreed – all fair game. Id. A minute order, a presentence report – they don’t cut it (indeed, the PSR can’t be used at all in the analysis.) Id. at 10, & n.25.